"When a man has lost everything, he only has revenge." 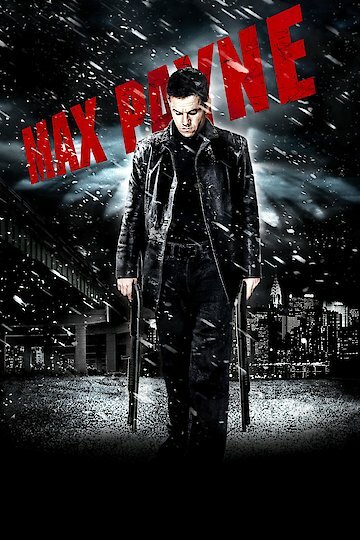 Max Payne is an action/adventure movie starring Mark Walberg, Ludacris and Mila Kunis. This 2008 movie is based off of the video game of the same name. The premise of the movie surrounds Max getting revenge on his enemies. The movie begins with Max's looking for the killer who killed both his wife as well as his newborn daughter. He has become an police officer in an effort to stop the crime spree happening in his city. While getting some information from one of his informants two other assailants try to rob him in the bathroom of a train station, he easily thwarts off the two robbers. He goes with his informant to a party where he meets an beautiful young lady named Natasha, he notices her tattoos and wants some information about them. He invites her back to his apartment, where they almost have a sexual encounter when she says a rude comment about Max's dead wife and child. He violently tells her to leave, she gathers her belongings and goes, only to be killed by a winged creature at the train station. The next morning her body is found with Max's wallet. Max is accused of committing the crime and his partner Alex goes to his apartment to find out the truth. Max returns to his apartment to find that his partner is dead, he then is knocked out by an unknown person and awakes in the hospital. Max's is awakened by Natasha's sister Mona who wants to know why he killed her sister. He promises her that he did not and wants her to help him find the real killer. Mona and Max go to an tattoo parlor where they learn about Valkyries which are Norse judges. Ironically, there is a new drug called Valkyrie that turns regular men into super soldiers. Max's finds out about the drugs deadly side effects and is about to go public until he is shot and left for dead by Lupino (a military man who wants Valkyrie to be legalized by an means). Max Payne is currently available to watch and stream, buy on demand at Amazon, Vudu, Google Play, FandangoNow, iTunes, YouTube VOD online.